He brings HOPE (PEACE) to every heart, He comes, He comes! 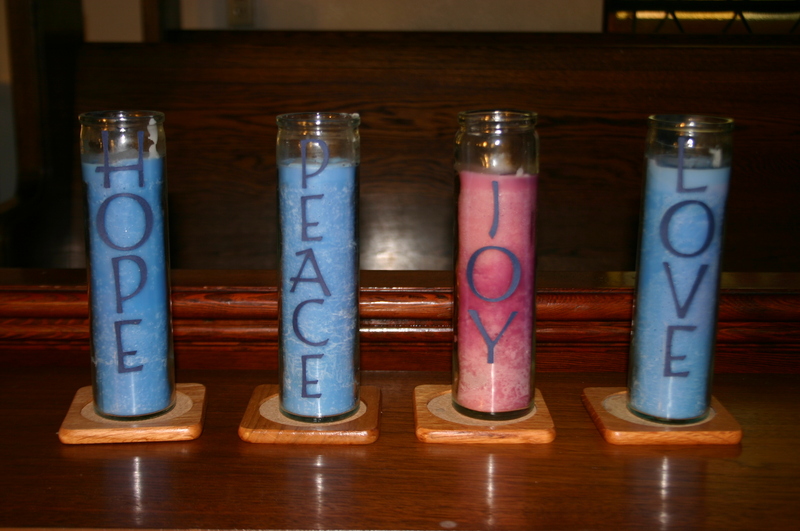 Light one candle for JOY! One bright candle for joy! Ev’ry nation will find salvation in Bethlehem’s baby boy. Light one candle for LOVE! One bright candle for LOVE! He brings LOVE to every heart, He comes, He comes!